Here’s the list you never asked for but got anyway. 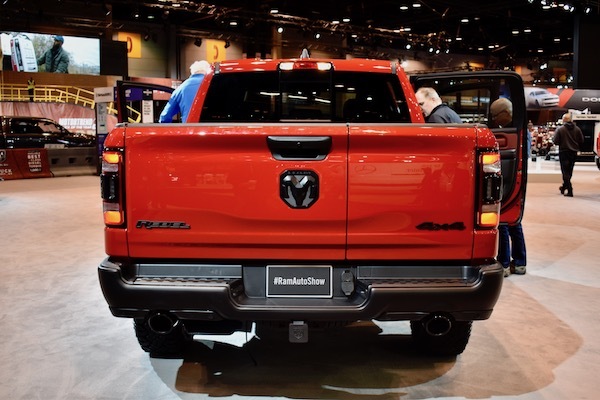 For truck manufacturers, the Chicago Auto Show is a battleground. 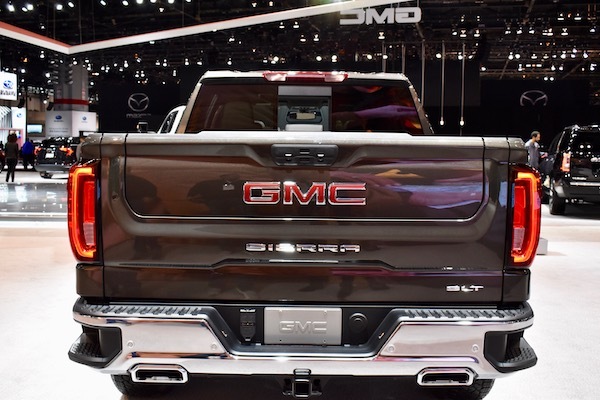 Armed with chrome, four-wheel-drive, and going with a the new trend of nifty functions never before seen on a tailgate, armies of pickups fight for the biggest slice of the huge American market. 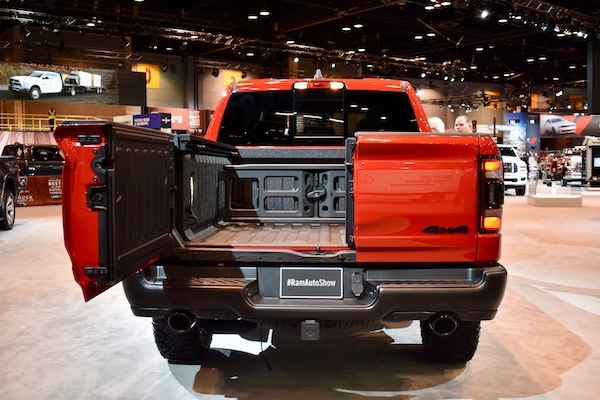 The latest front of the pickup war is the humble tailgate, the subject of this list. 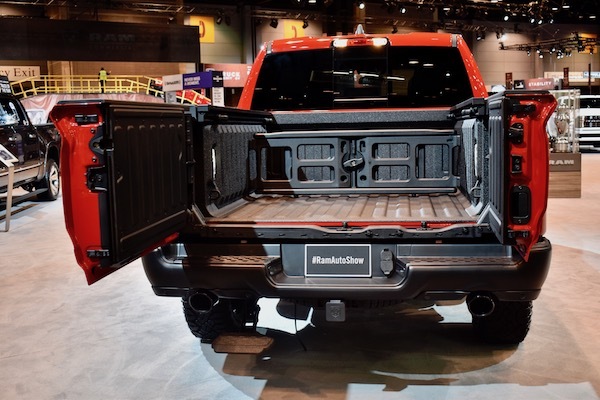 Automakers have knows for decades that the tailgate can be more than a folding flap of metal, and have utilized it as a canvas for decorating the truck. 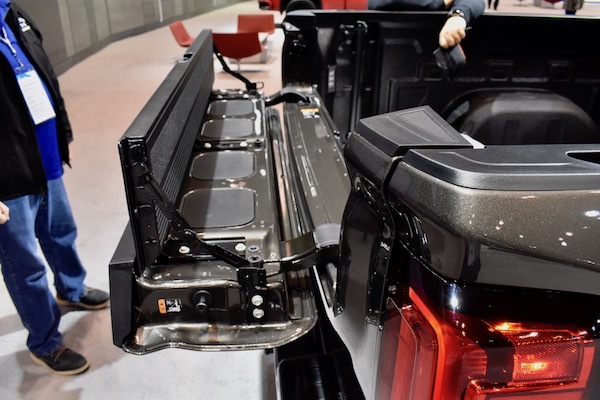 Only recently has the tailgate's potential to add functionality to the truck been realized, and some creative interpretations of the previously simple tailgate are on display at the 2019 Chicago Auto Show. Our five favorites from the show can be found below. 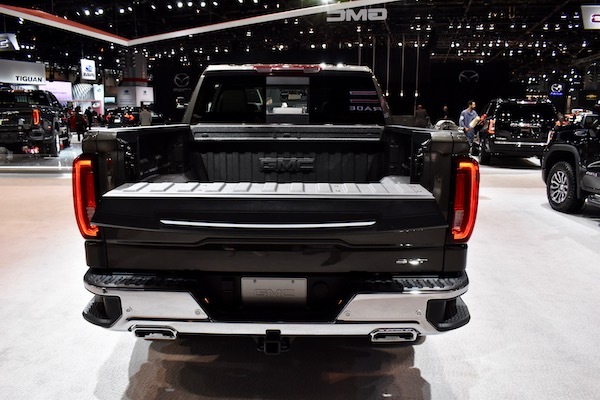 GMC's handy new MultiPro tailgate is made of three nested panels, capable of six different positions. Fully up and fully down make for two, while the top half can be folded down independently for a convenient, chest-height workstation, good for anything from gutting fish to changing diapers. A second panel can be folded up from here to serve as a load stop in both the half- and fully-open configurations. 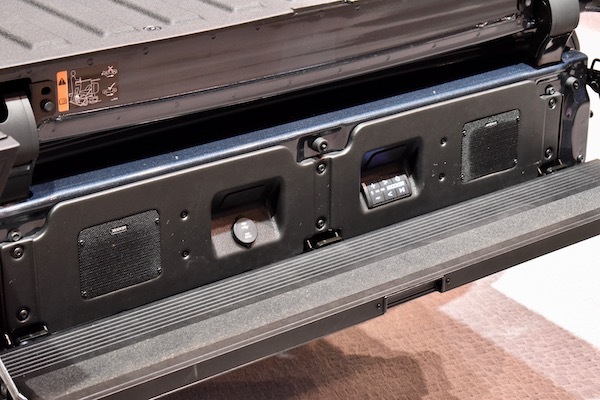 When entirely unfolded, the MultiPro tailgate forms a tailgate party-ready bench, in which customers can spec an optional audio system. The four-year-old in all of us loves the idea of driving a truck named for a dinosaur (or maybe a bird, but probably the reptile), and the fact that the F-150 Raptor can gallivant across rough terrain without a care only endears it further. Having the Raptor name on the back in big, stylized letters—even if dwarfed by gigantic Ford script—is also a fun novelty. All that's missing is a Tonka badge somewhere, though that might be unoriginal at this point. 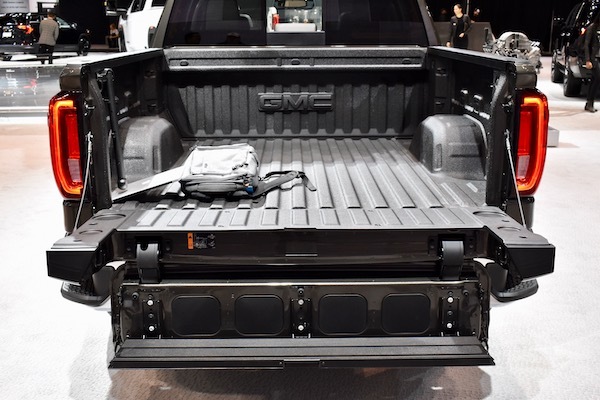 Just as The Drive's Chad Kirchner predicted, FCA-owned Ram brought out a multimodal tailgate of its own. 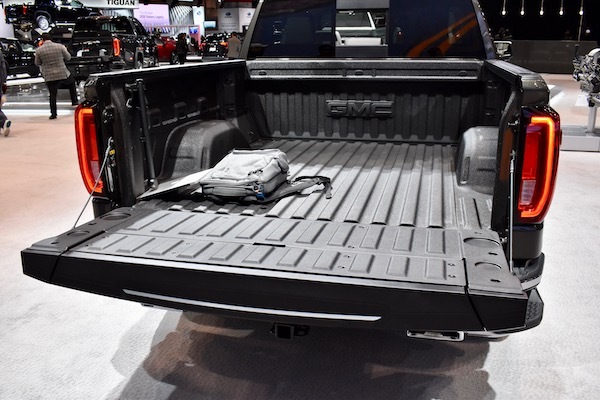 Like the competing GMC product, Multifunction Tailgate can be folded up or down like a traditional tailgate, but can be swung outward like a door. 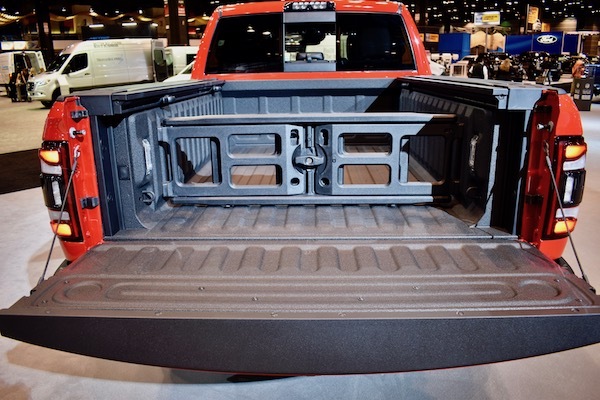 Combined with a kick-down pedal underneath the bumper, this tailgate makes the Ram 1500 the easiest full size pickup to climb into, and also puts pressure on Ford to do something similar with its F-series—ASAP. Though its role as a promotional vehicle for The Lego Movie 2 flies in the face of the original film's subversive, anti-consumerism themes, there's no denying that making an entire Chevrolet Silverado out of Lego bricks is artistry. Weighing in at 3,307 pounds, this Lego-rado is made from 334,544 Lego bricks, which took 18 people over 2,000 combined hours to construct. Everything about the truck is stunning, but hidden away, between the truck's rear and a wall, is a tailgate complete with embossed Chevrolet lettering. It's a detail that almost no Chicago show-goers will notice, but it's a brilliant addition nonetheless. When in Chicago, do as the Chicagoans do and have a tailgate party before the Bears game. It'll be selfie bait for the Second City's football fans for the duration of the 2019 Chicago Auto Show, provided no Vikings fans deface it while security isn't looking. 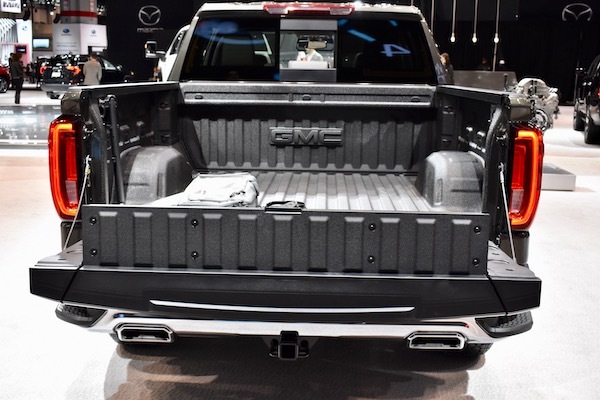 Thanks to this, GMC is no longer the sole company offering a versatile, Origami-like tailgate. What's the point of a pickup truck if its tailgate can't even turn into a desk, bench, party pod? Our round-the-world tour of car factories starts where the modern industry began: Ford's River Rouge facility, now home of the F-150. Customize your new Ram Heavy Duty with over 170 accessories available from Ram's in-house tuning company.